Stable, quite and vibration free unit, the Monitex Capsule Mixer runs at speed of 4,800 oscillations per minute ensuring consistent and homogenous mxing results. 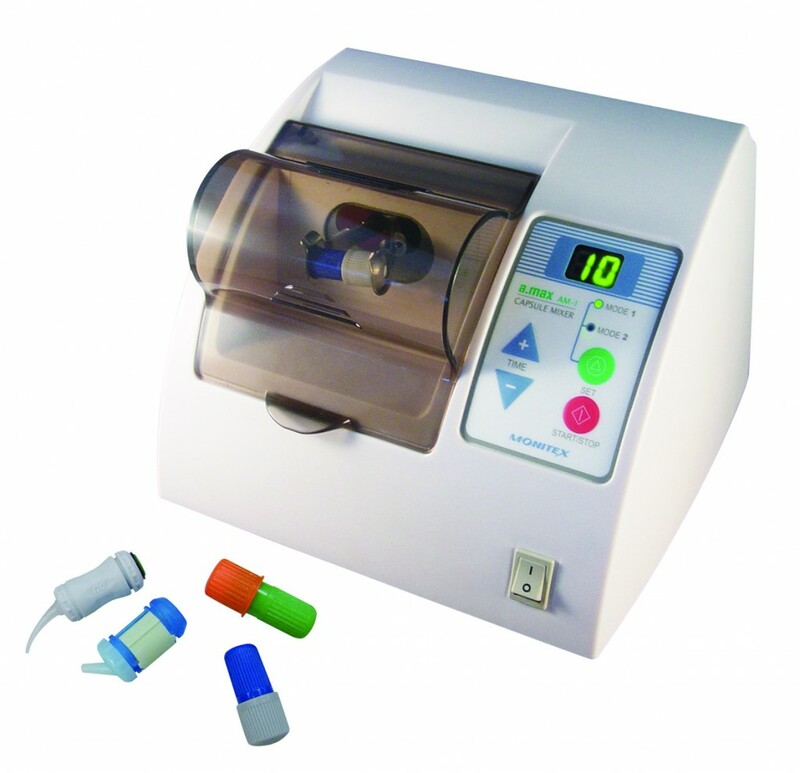 AM-1 Capsule Mixer is suitable for mixing capsules of amalgam, glass ionomer, cements and other encapsulated dental materials. Select from 2 mixing modes for easy and quick operation. For maximum safety, the unit ceases to operate if the front cover is opened.